Screenplay: Mike Cahill, Brit Marling. Starring: Brit Marling, William Mapother, Matthew-Lee Erlbach, Jordan Baker, Flint Beverage, Robin Taylor, Rupert Reid, Diane Ciesla, Kumar Pallana. Director Mike Cahill and star Brit Marling make their feature film debuts after their 2004 documentary “Boxers and Ballerinas”. Their earlier collaboration focused on the lives of people from different parts of the world. This film has a similar documentary style and explores a similar theme. 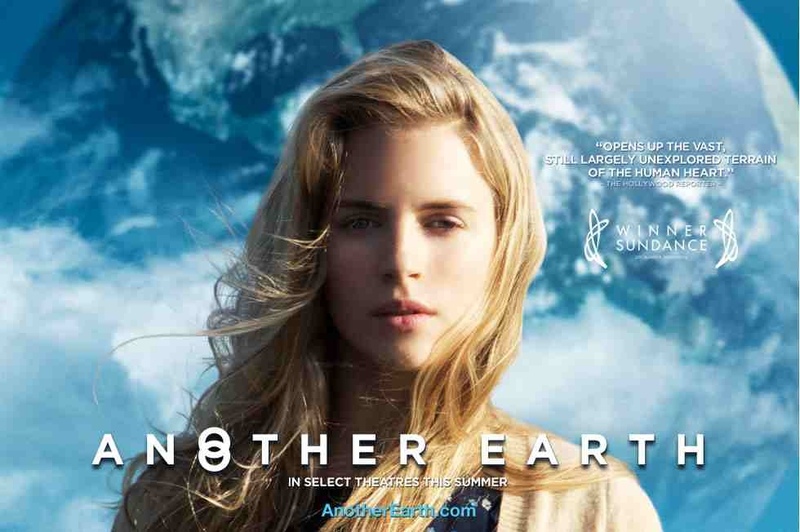 Rhoda Williams (Brit Marling) is a promising student who crashes her car one night, when news breaks that a duplicate Earth has been discovered. A family are killed in the crash but only her and the father John Burroughs (William Mapother) survive. On her release from prison four years later, Rhoda bluffs her way into Burroughs’ life as a cleaner, with the intention of easing her guilt and revealing herself as his family’s killer. Meanwhile, a competition is launched to find the first visitor to “Earth 2”, where the meeting of your ‘other self’ is a very real possibility. This film has such an excellent concept, that’s so intriguing, that the delivery fails to do it justice. It’s slow and tedious. Keeping it as realistic as possible, Cahill’s handheld-camera is up close and personal to his characters. It add realism but ultimately fails to entertain. The philosophical questions posed are the closest you’ll get to any form of entertainment but these questions are better considered in your own time (read Plato’s “The Allegory of the Cave”), rather than watching the tediousness played out onscreen. I normally enjoy speculative drama’s but this lost me about half way in. Not because it’s a noodle-scratcher but because it laboured on the grief and guilt of the main characters, rather than thoroughly exploring the possibilities of our doppelgängers from “Earth 2”. I can’t really fault director Cahill or the actors. They put in competent shifts but it’s the unexplored script that’s the problem. To start with such a hypothesis and then allow it to wallow and fritter out, is very discouraging. Granted, the budget isn’t high and it rests on it’s emotional and metaphysical core but it still falls into a very frustrating lull, from which it never recovers. It’s one that would play well alongside the existential films of Lars Von Trier’s “Melancholia” or Terrence Malick’s “The Tree Of Life” but it’s nowhere near in the same league, despite it winning the Sundance Film Festival. 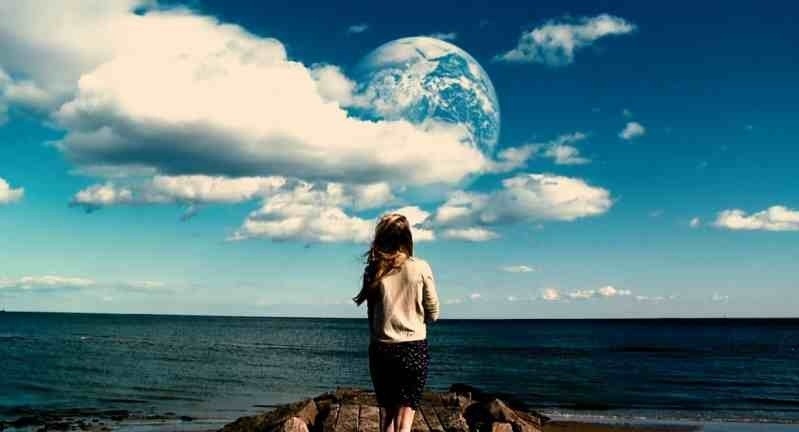 Maybe on ‘another earth’, this film was a masterpiece. On ours though, it’s frankly… dull. This entry was posted on February 17, 2012 at 12:34 pm and is filed under Drama, Science Fiction with tags 2011. You can follow any responses to this entry through the RSS 2.0 feed. You can leave a response, or trackback from your own site. Great review. I find it interesting that three movies with similar themes (this, Melancholia, Tree of Life) opened in the same year and each one was very unique. Exactly, it seems that filmgoers are being treated with intelligence these days. I for one, welcome it. This has had some avid followers but it didn’t really do it for me. Great idea though. Thanks for the tip. I seen Keira Knightley getting interviewed recently and she mention this film but for the life of me I couldn’t remember the name of it. I do now. It looks good. Shame about “Another Earth” though. I was really looking forward to it but can’t say I was impressed. Another End of day’s drama to seek out Steve, is “Perfect Sense” with Ewan McGregor. Superb stuff!